Here are the basics of a bankruptcy filing in San Diego:Chapter 7 vs Chapter 13 . When Should I consider filing Bankruptcy in San Diego ? You should consider filing bankruptcy when you cannot pay your bills or when a particular crisis, such as an illness, accident or loss of employment makes the future payment of your bills very unlikely. Also, if a judgment is handed against you, a bankruptcy may be used to stop the creditor from attaching your assets or wages. Can bankruptcy stop the collection of tax ? Taxes are normally given priority and are difficult to erase.As a general rule, if you have an income tax debt that is at least three years old, and you filed your tax returns on time for the year in question, you may be able to discharge all such taxes in a Chapter 7 proceeding. In a Chapter 13, however, that tax debt would be paid in the same way as any other unsecured creditor (i.e., repaid over three years). Payroll taxes (i.e. taxes you failed to withhold from your employees’ pay or withheld and did not pay the appropriate government agency) are generally not dis-chargeable.Bankruptcy will initially stop the collection process but may not eliminate the obligation to pay the taxes. Does a Bankruptcy affect my credit? Yes. Future lenders may consider your bankruptcy when they are deciding whether to loan you money or credit. However, certain laws exist to prevent unlawful discrimination against you just because you filed for bankruptcy. The fact that you have filed for bankruptcy may be carried on your credit records for ten years. Chapter 7 vs Chapter 13 If I choose Chapter 7 liquidation, do I lose all my assets? 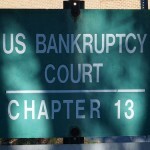 What is the cost to file a Bankruptcy in San Diego court : Chapter 7 vs Chapter 13 ? In a Chapter 7, generally your attorney’s fees must be paid up front before the filing. This makes sense because in a Chapter 7 proceeding a promise made before filing the case to pay attorney’s fees after filing makes the promise dischargeable, too. In a Chapter 13, your attorney’s fees can be paid either before the filing or as part of the repayment plan. For Chapter 13 cases, the installment payment plan is the preferred choice of most clients since it requires less up-front cash.The filing costs differ based upon the Chapter of the Bankruptcy you file. Currently, fees are $306.00 for a Chapter 7 and $281.00 for a Chapter 13. How long does a Bankruptcy take In San Diego : Chapter 7 vs Chapter 13? Do I have to attend a Hearing? Chapter 7 bankruptcies require you to attend a meeting of creditors. If no objections are filed, the discharge can be entered in approximately 90 days. 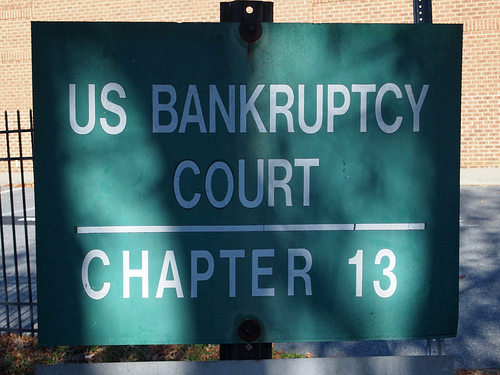 Chapter 13 bankruptcies take 48 months and may involve a number of hearings over an extended period with both the trustee and the court. In the federal bankruptcy district where you have lived for the past 180 days. If you have not lived in your current District for 180 days, you may file in the district in which you most recently resided for one hundred eighty days or you can take your chances filing where you now live. If you are finally tired for the bill collectors and the stress,Call me 619-235-4095 we can talk. Next post: Bankruptcy Means Test for San Diego co.